Solo Launcher is an Android app developed by newborntown (5D，Block 5，The Long Beach，8 Hoi Fai Road，Kowloon，Hong Kong). Others apps created by newborntown are: Solo AppLock, Solo Locker. Solo Launcher first became available on 25 Jun 2014. Solo Launcher has been awarded with the "Top Developer" badge. It is estimated that Solo Launcher has been downloaded between 100000000 and 500000000 times from the Play Store. 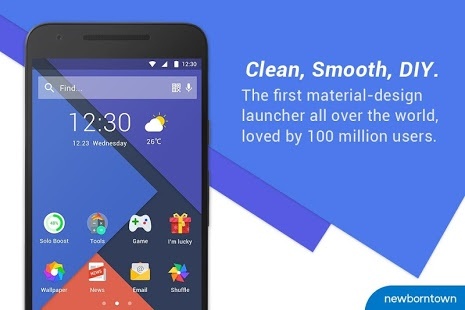 Android’s top-ranked launcher with free themes and wallpapers. The beautiful, fast, and battery-saving launcher that keeps you organized.